Our large selection of lamps, window treatments, fabric and curtains, closets, and accessories represents a wide range of styles including formal, elegant, contemporary, traditional, casual, and country. Table lamps and reading lamps provide unfocused illumination of a cozy space while desk lamps focus intently on a task or work surface. Table lighting subtly enhances the personality of a living space. Floor lamps fulfill a variety of illumination preferences, including ambient floor lighting, reading lighting, and torchiere lighting. Westchester House & Home also offers lamps and lighting options in a wide range of interior design styles, materials and motifs to suit your taste. Curtains, drapes, blinds, shutters and shades are all varieties of window treatments. To fully realize your design vision, your living room, kitchen, bedrooms and baths all deserve custom window treatments. Westchester House & Home offers many types and styles of window treatments to suit your taste. Your storage areas should reflect your personal style, just like any other room of your home. 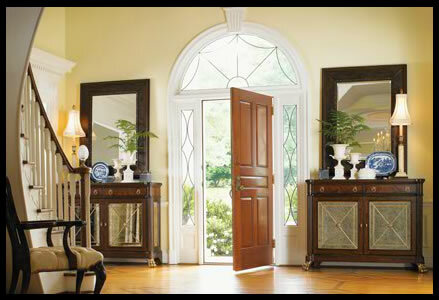 Westchester House & Home offers custom closets and millwork in a variety of styles and materials. At our Mount Kisco design center, you can design the room of your dreams. Our complimentary interior design service will make it enjoyable for you to find the right look that reflects your lifestyle. Westchester House & Home is your destination for Home Furnishings. Our Mount Kisco showroom is filled with all types and styles of home furnishings to meet your decorating needs.